Our goal at the New Agrarian School is to be inclusive, and offer workshops that provide the best experience possible for all participants. Because blacksmithing is both technically and physically demanding, and involves a broad range of skills, courses are offered here that cater to various levels of experience. We have listed the workshops according to three skill levels: Basic, Intermediate, and Advanced. Students are expected to honestly assess their skill level when choosing courses to enroll in. If you are not sure where you fit in this spectrum, contact either the school or the course instructor. 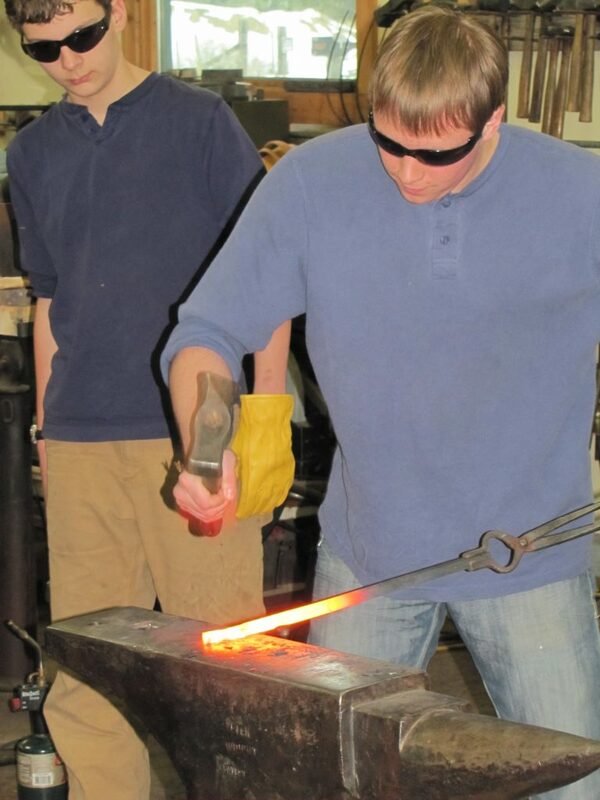 Basic: Students with little or no experience with blacksmithing will be comfortable in these courses. Instructors of basic courses are prepared to inspire students with more experience as well. All blacksmithing depends on basic skills, and refining basic skills from a different perspective is beneficial for nearly everyone. Intermediate: Here it is expected that the student has significant experience in blacksmithing, either by having taken classes before, or practicing for some period of time independently. A good working knowledge of basic blacksmithing is essential for participants in intermediate classes to have a successful experience. Advanced: Some workshops will be designed for people who are either professional or have a great deal of work experience in the field. These classes require that the prospective students communicate directly with the instructor prior to enrollment to assure a good fit for the workshop. Copyright © 2019 New Agrarian School | Design & Hosted by WWD.